Board Alexander von Humboldt II in Bordeaux. 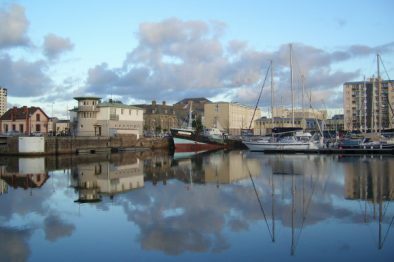 You will cross the Bay of Biscay and round Brittany, before reaching Cherbourg. 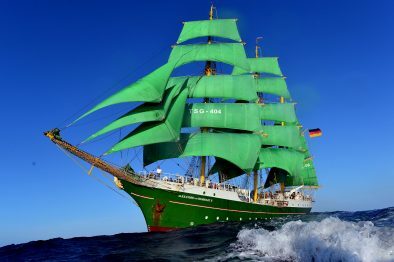 On board the famously green-hulled Alex you will be a trainee, sailing the Ship together with professional crew in order to reach your destination. 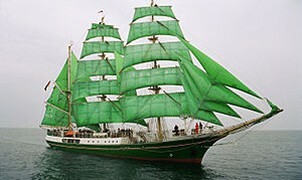 You will set and trim the sails, look out for other vessels, try your hand at steering, and, voluntarily, climb the masts. No experience necessary – you will learn everything on board! 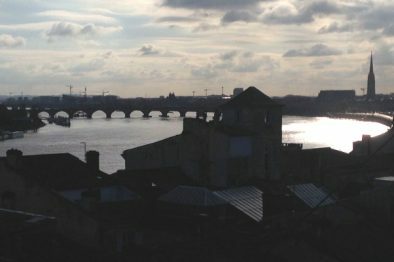 Bordeaux is famous for its wine, but the city itself also has a lot to offer. The cathedral, the Place des Quinconces and the Port de La Lune will have you gazing in amazement. The city also has a diverse cultural agenda and a bustling nightlife. To the south of the city you’ll find sandy beaches with enormous dunes that offer great surfing conditions on the waves of the Atlantic ocean. Every two years Bordeaux organizes a harbor festival, with many Tall Ships visiting.